In 1944, the US had been the primary supplier for arms for the allies during World War II and, as such, exited the war with more wealth than any of the other nations that had entered the war earlier, draining their treasuries of money. Since payment was largely demanded in gold, the US held three-quarters of the world’s gold and therefore was in a position to call the shots with regard to the free world’s economic future. At Bretton Woods, the US took advantage of this situation, setting up the World Bank and the IMF and declaring the dollar to be the default currency for all countries concerned. From that point on, the US was in the catbird seat, able to dictate economic terms to other countries and even to behave irresponsibly, eventually creating previously unheard-of levels of debt, thereby inspiring other nations to do their best to create their own debt in order to keep pace as best they could. Eventually, of course, such irresponsible economics will cause any country, no matter how powerful, to collapse economically, no matter how many Keynesian economists such as Thomas Piketty, Paul Krugman, and Larry Summers declare otherwise. Beginning in 1944, the US became the world’s foremost empire, for the strongest of reasons—it held the world’s wealth. This advantage led to a period of great power and, in the latter years, as the empire began to stumble economically under its own great weight, led to the creation of organisations and legislation designed to bring in new revenue, as the old forms of revenue declined. In recent years, we’ve seen the rise of the extraordinary assumption that “money laundering” (the practice of protecting one’s wealth from rapacious governments), should be regarded as a crime. As such, “tax havens”—those jurisdictions that provide freedom from governmental usurpation—have also been vilified as being somehow criminal because they recognize the basic right of freedom to prosper. Along the way, the US has increasingly created legislation restricting the international movement of money by its people in addition to such a patchwork quilt of laws that every citizen is likely to break several laws each day, simply by existing normally. All of this is taken for granted as a “given” by both Americans and those of us who view the US from afar. However, we rarely, if ever, take the time to reflect on the fact that, historically, this is nothing new. This is, in fact, quite the norm for an empire in decline. From the latter days of the Roman Empire, such practices (if in a less sophisticated form) have been implemented in order to have a last squeeze of the lemon before economic collapse takes place. So, what then, in these many instances, has been the deciding factor that ends such draconian usurping of private wealth? Well, in fact, what tends to occur is that enforcement increases serially, right up until the moment when such enforcement can no longer be funded. Sooner or later, the amount that’s being bilked from those who are productive is insufficient to force them to continue to be bilked. This Maverick Geologist Has Been Involved with Several of Mining’s Biggest Gains (3,900%, 1,608%, 9,536%)… And In Just 8 Weeks, He’ll Announce Discovery #4. Dubbed “Red Gold” by industry insiders, this latest discovery could send share prices soaring 1,000%, starting in April. Click here for the full story. It’s tax-free. Pays up to 37 times more than bank accounts. And you DON’T NEED TO REPORT IT TO THE IRS. No wonder the government doesn’t want you to know about this secret account. Click here. In ancient Rome, once the system had deteriorated to the point that the military was almost entirely mercenary, all that was needed was for the government to fail to provide full, regular payment to the troops. Once “the cheques began to bounce,” the military turned on their former benefactors. In addition to the cessation of enforcement, the military itself was now a threat to the leadership. And of course, we have seen this in other empires since that time. Even with all the gold that Spain was pulling out of the New World in the 16th century, it wasn’t sufficient to pay for the excessive foreign military adventures of Philip II and eventually the coffers ran dry, collapsing his ability to even maintain control at home. When even the interest on the debt could not be serviced, the ability to maintain control not only ceased to advance—it went into reverse. Whenever the ability to enforce draconian legislation goes into decline, the people of a nation suddenly realise that they’ve been living in fear of a paper tiger. It doesn’t take long before some people choose to defy the system. When they’re seen to succeed, others follow in droves. So, what does this say of the US and its power? Well, as Doug Casey has been known to say, “Countries fall from grace with remarkable speed.” Quite so. On an international level, this means that international leaders will be watching the economic decline of the US closely. Countries such as China and Russia have been loading up on precious metals in preparation for a collapse in fiat currency. In addition, they’ve created their own version of the World Bank, the Asian Infrastructure Investment Bank, and have been hard at work inking deals with other nations for international settlement in currencies other than the dollar. Most people in the world today cannot remember a time before Bretton Woods, yet they may soon witness the Bretton Woods agreement becoming a dead duck. But, if we extend this premise, we also should be questioning the other constructs of the postwar period that have become dinosaurs. What of the United Nations? This organisation was once meant to be a body for arbitration and world planning, but has in latter decades become a quagmire of bickering and gainsaying—with its decisions rarely being adopted by the nations in question. And yet the US alone pays some $8 billion annually to keep the UN afloat. Surely, when the world at large ceases its willingness to carry further US debt, the US government will jettison the expense for the UN before it cuts either its military spending or its entitlement programmes. Similarly, NATO, which requires $2.8 billion annually (with only five of its 28 members currently meeting the recommended payments) would experience a similar fate. With the above entities heading south, the Wolfowitz Doctrine, which has since 1992 been the basis of US aggression policy, would become unachievable. In addition to the decline or cessation of the above international adventurism, enforcement of revenue pursuit in the guise of FATCA and OECD schemes would equally suffer from a loss of funding. It would not be a question of whether the empire still wished to squeeze the lemon more than ever before—it would. But once the funds to do so dried up, the US and EU would find themselves in the situation that we currently observe in Venezuela: The money to pay for the enforcement is simply not there anymore. The decline would begin with bounced cheques, followed by massive layoffs in the enforcement departments, followed by a decline in receipts, necessitating further layoffs, and continuing in a downward spiral. At present, countless people live in fear of the present empires and their ever-increasing efforts at usurpation. However, as history shows, once debt has reached its nadir and begins its rapid fall, so does the empire’s ability to enforce draconian confiscations. The coming economic and political collapse is going to be much worse, much longer, and very different than what we’ve seen in the past. 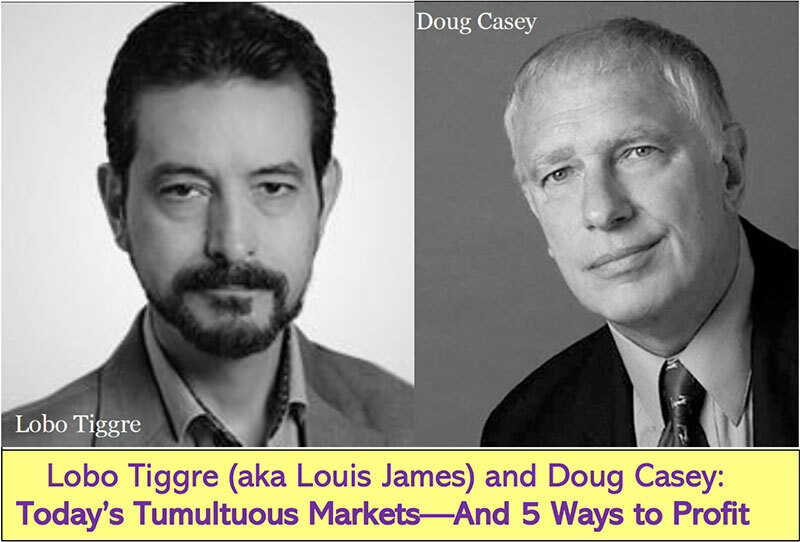 That’s exactly why New York Times best-selling author Doug Casey and his team just released an urgent video. It reveals why a financial shock far greater than 2008 could strike America during Trump’s first 100 days. Click here to watch it now. That’s exactly why New York Times best-selling author Doug Casey and his team just released an urgent video. 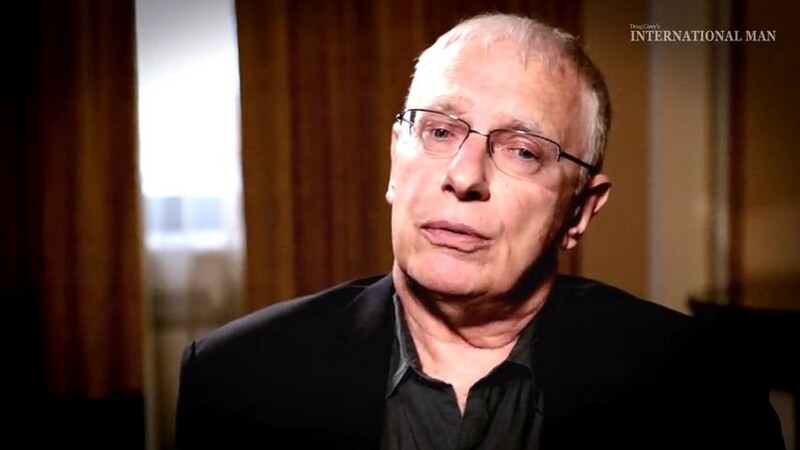 Doug Casey’s urgent new broadcast is live… and I guarantee, even Doug’s longtime readers have never seen anything like this before. It reveals why a financial shock far greater than 2008 could strike America during Trump’s first 100 days. And how it could either wipe out a big part of your savings… or be the fortune-building opportunity of a lifetime. This special presentation won’t be online for long.